DAYTONA BEACH, Fla. (Aug. 14, 2007) -- Reigning and two-time NASCAR Busch Series champion Kevin Harvick (No. 21 AutoZone Chevrolet) isn't running a full-time schedule, but he's still pushing towards the top of the list of all-time greats in this final year with series sponsor Busch Beer. The series' hottest driver, Harvick comes to Michigan International Speedway having won two consecutive races (Montreal, Watkins Glen) and can become the seventh driver in series history to produce three consecutive victories. Ryan Newman (2005) was the last to do so. Harvick boasts four wins in his last five races; the exception was a second-place finish at Daytona International Speedway last month. He's now tied with Jack Ingram for second on the all-time win list with 31. A win at Michigan also would give him four wins in the last four races he's entered, although not consecutive events. He won at Chicagoland Speedway and skipped O'Reilly Raceway Park at Indianapolis before embarking on his current two-race streak. Dale Earnhardt Jr. (2001-03) and Newman ('05) hold the mark with wins in five straight starts, though not in consecutive races. Harvick's Richard Childress Racing teammates, Jeff Burton and Scott Wimmer, are on a hot streak as well. They have the No. 29 Holiday Inn Chevrolet only 41 points behind the driver and owner-leading No. 60 Sharp Ford of Carl Edwards and Roush Fenway Racing. The No. 29 RCR team has made up 227 points on the No. 60 over the last five races to pull within its closest margin of the season. Those two teams have been 1-2 in the owner standings since the first race at Nashville Superspeedway in April. The No. 29 was a season-high 302 points out of first following the second Nashville race in June. 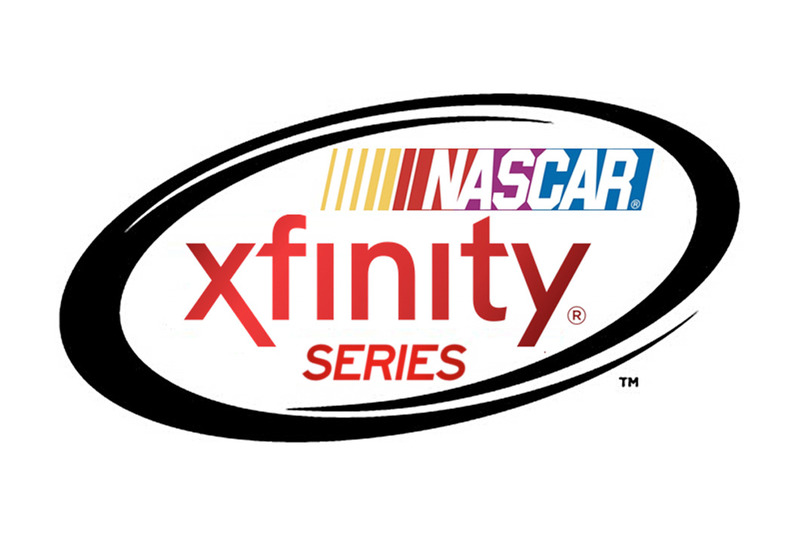 The series driver and owner championships have been split once before, also involving RCR. In 2003, Brian Vickers (No. 10 Fan1st.com Toyota) won the driver's title, but the duo of Harvick and Johnny Sauter won the owner championship for Childress in the No. 21 PayDay Chevrolet. It's quite a homecoming for Brad Keselowski (No. 88 NAVY Chevrolet) as the Rochester Hills, Mich., native prepares to make his fourth start for owner Dale Earnhardt Jr. and JR Motorsports. Keselowski has been impressive since taking over the No. 88 Chevy at Chicago, registering two top-15 finishes, including his first career top 10. Road specialist Andy Pilgrim handled the past two events for JR Motorsports at Montreal and Watkins Glen, but now the seat goes back to Keselowski in front of the hometown crowd. "Coming back with JR Motorsports, I'm looking to seal the deal this year and I think we have a really good shot at it," he said of his prospects for a full-time ride with the organization. He hopes to race against his brother, Brian, who will attempt to qualify his No. 49 Dodge for their father Bob. The Keselowski racing tradition runs three generations deep in Michigan, starting with the siblings' grandfather, John. The family has competed in all levels of racing from late models to the NASCAR NEXTEL Cup Series. "We live about an hour-and-a-half from the track and racing has always been a part of our lives, so competing in front of our hometown crowd will be a lot of fun," Brian said. Trust that Jack Roush and John Henry -- co-owners of Roush Fenway Racing -- will have a close eye on the No. 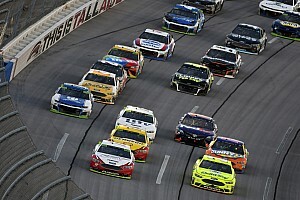 60 Ford of Carl Edwards during Saturday's NASCAR Busch Series race at Michigan International Speedway. Though their driver has a robust lead in the driver standings, there's still a neck-and-neck race in the owner standings. The No. 60 Ford, driven exclusively by Edwards this season, holds a 41-point cushion over the No. 29 Richard Childress Racing Chevrolet driven by both Jeff Burton and Scott Wimmer. Burton will drive the No. 29 this weekend at Michigan, and will attempt to curtail the Roush success at the 2-mile track. Over the last two years, Edwards has performed well at Michigan. Though an accident ended his day in 2006, he did lead 31 laps in that race. In 2005, his first visit to Michigan, Edwards notched a third-place finish. In his Michigan career, Edwards has a Driver Rating of 118.3 (second-best among those competing Saturday), an Average Running Position of 4.5 (best of any driver), 38 Fastest Laps Run (most of any driver) and has spent 247 of 253 Laps in the Top 15 (most of any driver). Jeff Burton ran at the Michigan NASCAR Busch Series race last season for the first time since 2003 and finished 10th. In that race, Burton earned a Driver Rating of 92.2, an Average Running Position of 14.6 and spent 83 Laps in the Top 15. He has had past success at this race, with a win in 1998 and a runner-up finish in 2002. Mark Martin (No. 5 Hendrick Autoguard Chevrolet) -- the series' all-time leader in wins (47) and Busch Poles (30) -- will make his fourth start of the season this weekend at Michigan. Thus far in 2007, he's had success; he finished second at Darlington in his last series race and has an overall average finish of 6.3. Martin finished fifth last season at Michigan, earning a Driver Rating of 121.6 and an Average Running Position of 5.7.